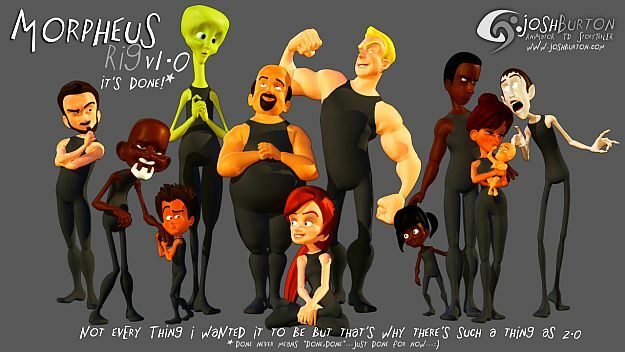 First of all this rig is like a dream, because it is not only a body rig, it is a character. You can modify everything in your character. Turning your fat man into slim man takes only few seconds, or turning your man into a woman. Josh really works great and develops his rig day by day so quickly. Hand morphs for talons and knuckles! Noses, ears, and beards, Oh my! The Andy (short for “androgynous”) Rig was made for students at the Savannah College of Art and Design and is updated based on student feedback. It’s meant to play both male and female roles and be generic enough to act in many different scenarios. Multiple hair styles and textures are already available, but more can be added to change the look of the character. For best results, use your animation preferences (window->settings/preferences->preferences->display) to set the viewport texture resolution to “fast” or “high quality”, please use the included character sets (or make your own), use right-mouse-button menus to change parenting (and IK/FK snapping), use the customizable options on the world-node to show the proxy or smooth the character, only animate in the Y axis for FK elbows (this bug will be fixed in the 2.0 release), and use “smooth+1” before rendering to allow the textures to display correctly. Credits: Models and Rig by John Doublestein, Design by Craig Scheuermann, Textures by Ying-Chih Chen. Some rigging techniques inspired by Jason Schliefer, Aaron Holly, Javier Solsona, Michael Comet and Hamish McKenzie – thanks guys! 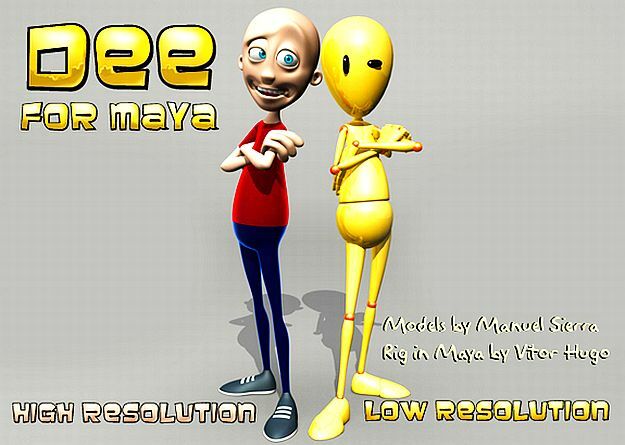 This is a simple but really pretty full character rig for maya. It includes all IK/FK, Stretch and squash, High and Low character with full facial controls. 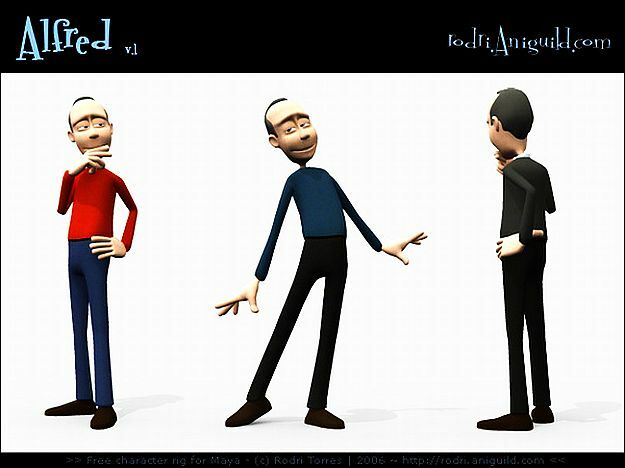 Alfred is a really ready to use character rig to practise animation. 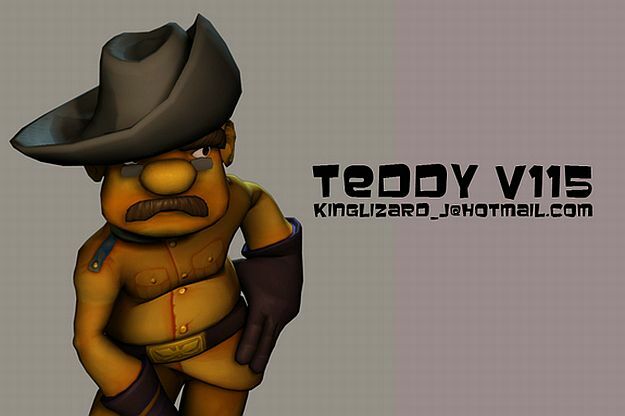 The Teddy Rig is a basic character setup created for a group project at ILIA – Chicago. Comments and suggestions are appreciated. Previous How to attach a mask point to a layer in After Effects? Next How to render Z-depth, object ID, Normal etc. 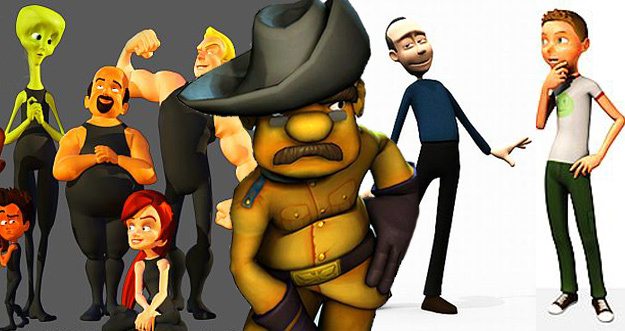 at one rpf file in Cinema 4D?